Forensic science is scientific analysis used for the benefit of the legal system. There are, according to the American Academy of Forensic Sciences, eleven subcategories of specialization in forensic science, of which forensic psychology is one. These include general, toxicology, criminalistics, odontology, questioned documents, multimedia and digital sciences, psychology, physical anthropology, engineering sciences, pathology and biology, and jurisprudence. The forensic psychologist is a key member of the forensic science team. 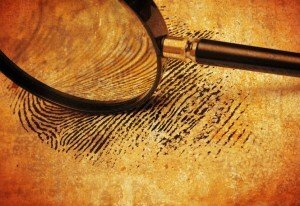 A career in forensic psychology can be rewarding in a number of ways. First, there are several career opportunities within the forensic psychology framework that are available. Second, there is a benefit to society that comes as a result of research activities performed. Third, peoples' lives are changed and that can give a sense of personal fulfillment. Fourth, forensic psychologists often perform the duties of expert witnesses so are as a result well-known (the fame factor). Last, every day is different. Working with prisoners and juvenile offenders is colorful and full of breadth. A forensic psychologist is primarily a good researcher with an analytical mind. She or he must be able to work comfortably with others in a team environment. A lot of patience is required because the answers do not always come as quickly as you want them to. Further, as earlier mentioned, forensic psychologists must sometimes be called upon to act as expert witnesses, so should have some good ability in the area of public speaking. Of course, some expertise in various types of psychology are a must, namely social, motivational, abnormal and clinical. A forensic psychologist is not in the profession for money, but for the satisfaction. Applicants who are there for the money do not last very long. There is expected to be a good five years' graduate school, and it does not end there. She or he is expected to take continuing education throughout their career. Nonetheless, the career outlook for a forensic psychologist is good. Laws continue to change and as they do, new recruits are needed to understand how these laws affect offenders in the court system. There will be continued growth of jobs for those involved in dealing with attorneys, lawmakers and courts. Juvenile justice is also a burgeoning field, as young offenders increasingly flood the system. Clinical practice and research in forensic psychology will also increasingly play an important role. There is also potential work in universities and colleges, where it is a subject of growing interest and importance. There are some duties of a forensic psychologist that are interesting and absorbing. Acting as an expert witness, for example in determining the validity of an eyewitness, is done in the courtroom. The criminal psychologist may also be consulted to determine the competency of a witness. An example of this is the insanity plea, and if it applies to the defendant in question. Criminal psychologists may also be consulted with to select juries, to consider their psychological profiles in choosing neutral parties. Finally, they may be asked to do criminal profiling, working with police to determine what type of person a suspect is. It is fascinating work that cannot be done by just anyone. During your Associates degree in forensic psychology you’ll be able to demonstrate an appropriate research study and be able to gather and analyze data. According to Payscale.com and BLS the average salary is $59,440 per year with a high of $75,000. There are currently over 32,500 psychologists currently working with an expected growth rate over the next 10 years of 19%. Once you graduate you’ll be able to apply for entry level psychology positions in the below areas. If you want to do any clinical psychology work or be licensed I your state then you’ll need to receive your state license. Jury Psychologists- Work with lawyers regarding witnesses. Choosing a jury is an art and lawyers spend a great deal of time and strategy when picking jury members. Forensic Psychologist – Spend time working with victim advocates, lawyers and more. You can also be a expert witness for the courts. Mental Examinations – Work with the courts regarding defendants.